Too good to be true: because his character in Angels and Demons saves the Vatican from being destroyed by antimatter stolen from CERN, Tom Hanks will be flipping the switch to restart the LHC. No word on whether a faux-religious novel's 500+ pages of pap will have to be deciphered first for the activation codes. 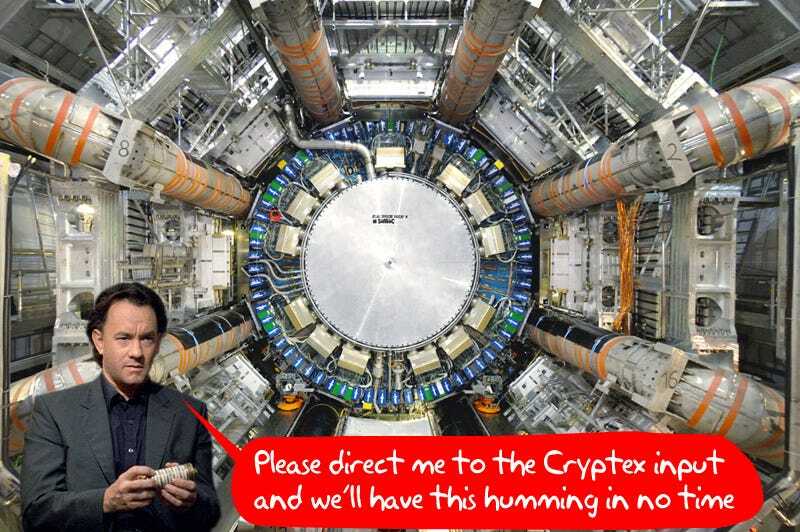 Or if Hanks will be in the "long hair mode" Dan Brown requires, but either way, I want to kiss the PR person at CERN who had this idea. If anyone can find a way to keep us all from being Hoovered into a rip in the fabric of space-time, it's the Hanks.